We present aerosol volatility measurements in Beijing in summer using thermodenuder coupled with aerosol mass spectrometers. 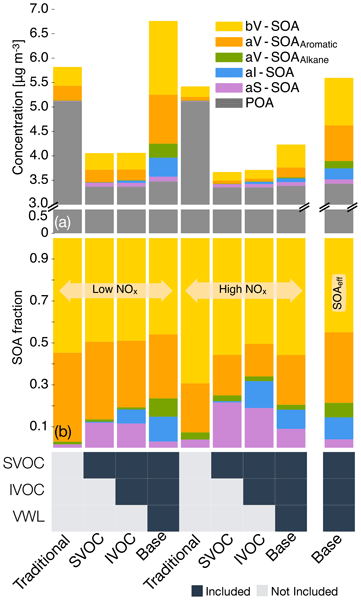 Our results showed that organic aerosol (OA) comprised mainly semi-volatile organic compounds in summer, and the freshly oxidized secondary OA was the most volatile component. We also found quite different volatility distributions between black carbon – containing primary and secondary OA and those of ambient OA, ambient secondary OA and that from WRF-Chem model. The interaction of particles with the chamber walls has been a significant source of uncertainty when analyzing results of secondary organic aerosol formation experiments performed in Teflon chambers. We evaluated the performance of several particle wall-loss correction methods for aging experiments of α-pinene ozonolysis products. Experimental procedures are proposed for the characterization of particle losses during different stages of these experiments. 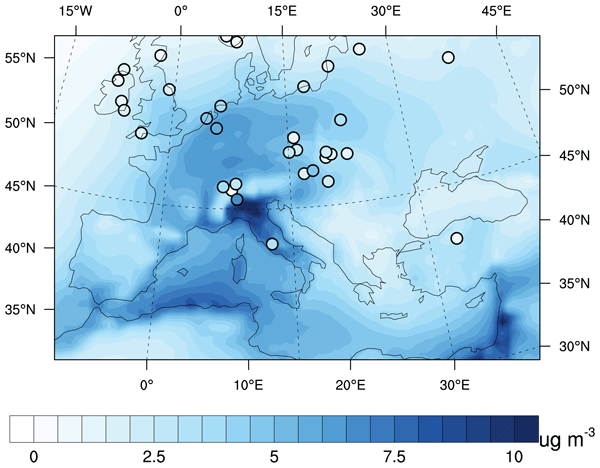 Different parameterizations of the organic aerosol (OA) formation and evolution are evaluated using ground and airborne measurements collected in the 2012 PEGASOS field campaign in the Po Valley (Italy). 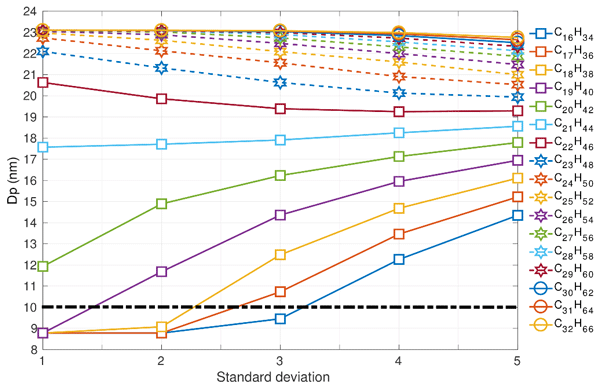 Total OA concentration and O : C ratios were reproduced within experimental error by a number of schemes. 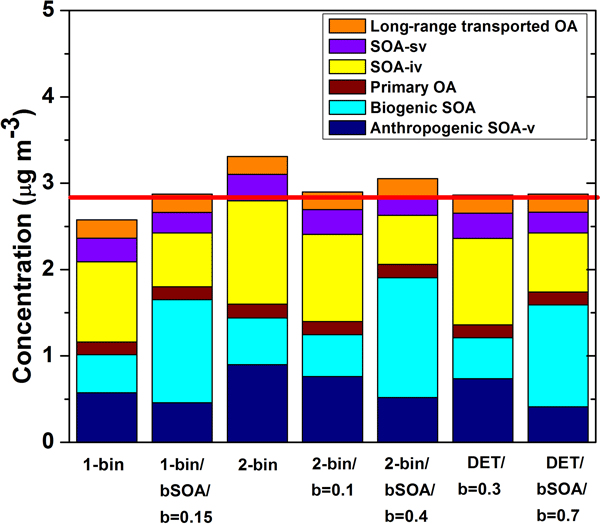 Anthropogenic secondary OA (SOA) contributed 15–25 % of the total OA, 20–35 % of SOA from intermediate volatility compounds oxidation, and 15–45 % of biogenic SOA depending on the scheme. This study investigates aging in the α-pinene ozonolysis system with hydroxyl radicals (OH) through smog chamber experiments. 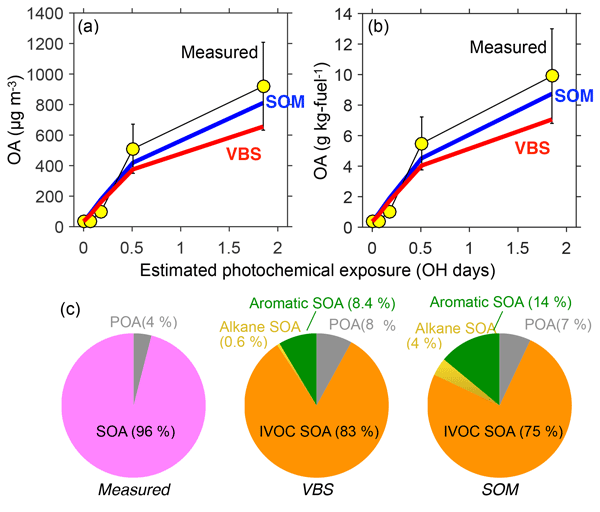 After an equivalent of 2–4 days of typical atmospheric oxidation conditions, homogeneous OH oxidation of the α-pinene ozonolysis products resulted in a 20–40 % net increase in the organic aerosol concentration and an increase in aerosol O : C by up to 0.04. The relative humidity in the 5–50 % range had a minimum effect on aging. Hygroscopicity, oxidation level, and volatility of organic pollutants are three crucial properties that determine their fate in the atmosphere. 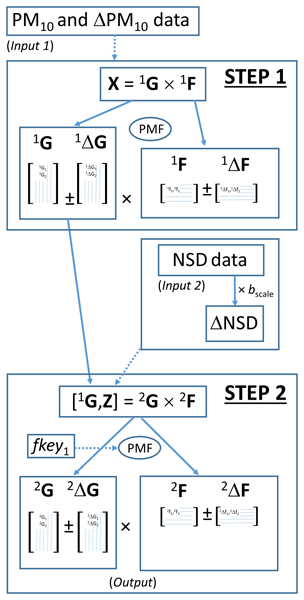 This study assesses the feasibility of a novel measurement and analysis technique to determine these properties of organic aerosol components at the same time and to establish their relationship. A method for the determination of the organic aerosol volatility distribution combining thermodenuder and isothermal dilution measurements is developed. The approach was tested in experiments that were conducted in a smog chamber using organic aerosol produced during meat charbroiling. Addition of the dilution measurements to the thermodenuder data results in a lower uncertainty of the estimated vaporization enthalpy as well as the semivolatile content of the aerosol. Cooking emissions can be a significant source of particulate matter in urban areas. 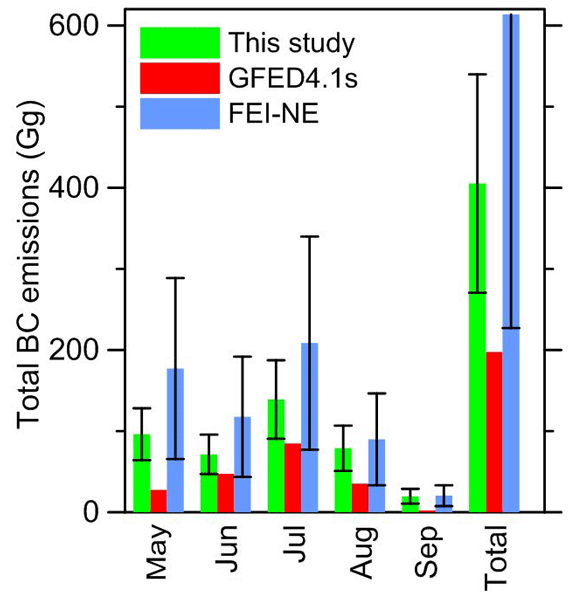 In this study the aerosol- and gas-phase emissions from meat charbroiling were characterized. More than 99% of the aerosol emitted was composed of organic compounds. The fresh particles were similar to the cooking organic aerosol over Greek cities during the winter, while the reacted particles were similar to those found in the atmosphere during the summer. Volatile organic compounds (VOCs) were monitored in urban backgrounds sites, in Athens and Patras in Greece. In summer most of the measured VOCs were due to biogenic and traffic emissions. Winter measurements in Athens revealed that biomass burning used for residential heating was the dominant VOC source. The biomass burning VOC emission ratios and emission factors were estimated. 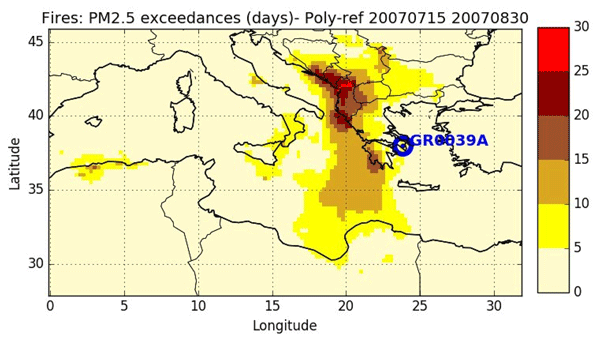 The ability of chemical transport model PMCAMx to reproduce ground and satellite aerosol optical depth (AOD) measurements over Europe is evaluated. PMCAMx reproduces AOD values over Spain, the UK, central Europe, and Russia with a fractional bias of less than 15 % and a fractional error of less than 30 %. The model overestimates the AOD over northern Europe probably due to an overestimation of organic aerosol and sulfates, and underestimates over the Balkans due to an underestimation of sulfates. We use PMCAMx with high grid resolution over Paris to simulate carbonaceous aerosol during the summer and winter MEGAPOLI campaigns. PMCAMx reproduces BC observations well. 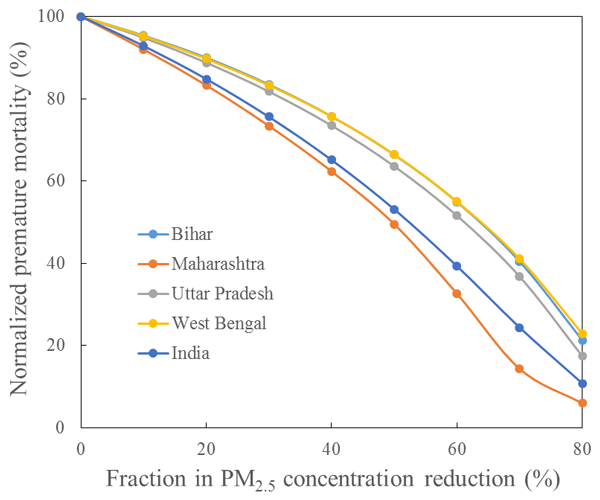 Addition of cooking organic aerosol emissions of 80 mg per day per capita is needed to reproduce the corresponding observations. While the oxygenated organic aerosol predictions during the summer are encouraging a major wintertime source appears to be missing. We estimate the volatility distribution for the organic aerosol (OA) components during summer and winter field campaigns in Paris, France as part of the collaborative project MEGAPOLI. The OA factors (hydrocarbon like OA, cooking OA, marine OA, oxygenated OA) had a broad spectrum of volatilities with no direct link between the average volatility and average oxygen to carbon of the OA components. A method for the measurement of the nonvolatile atmospheric particle size distribution is developed and tested. The tests include laboratory experiments with biogenic and anthropogenic secondary organic aerosol as well as nucleation experiments with ambient air. The method is then further tested during an ambient campaign. Aerosol size distribution measurements from three ground sites, two mobile laboratories, and one airplane are combined to investigate the spatial and temporal variability of ultrafine particles in and around Paris during the summer and winter MEGAPOLI campaigns. The role of nucleation as a particle source and the influence of Paris emissions on their surroundings are examined. A new aerosol dynamics model (DMANx) describing the organic vapor condensation on nanoparticles based on the volatility basis set framework is used to simulate typical nucleation events in two contrasting environments in Hyytiälä (Finland) and Finokalia (Greece). The role of semivolatile, low, and extremely low volatility organics and the corresponding surface energies is investigated. 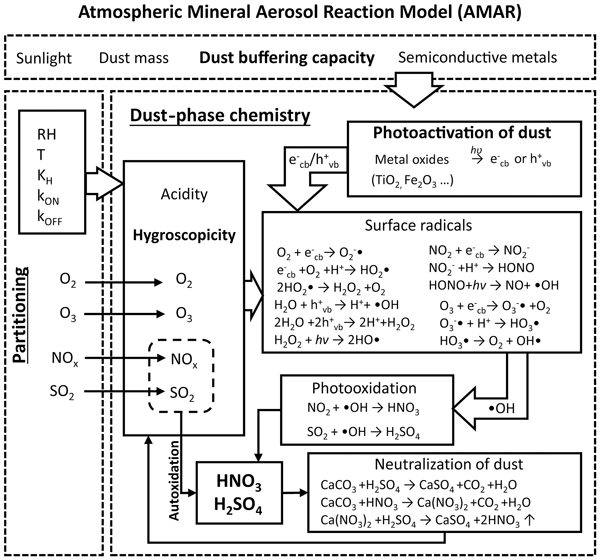 Atmospheric organic aerosol is complex and thus a challenge to model. We introduce a theoretical framework (solubility distributions) to represent the solubility of multicomponent mixtures. Using the framework, we evaluate the commonly made assumptions about the cloud condensation nucleus (CCN) activity of organic mixtures. We find that material with water solubilities larger than 0.1-100 g/L can usually be treated as completely soluble, which simplifies the treatment of organic CCN. 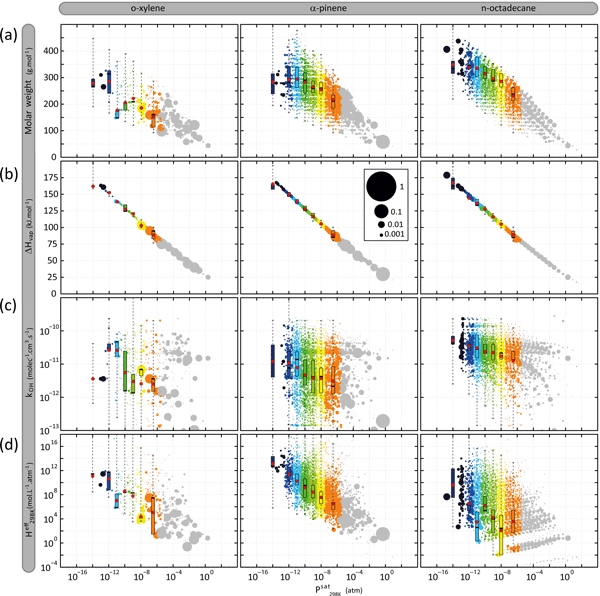 A computationally efficient module for the description of OA composition and evolution in the atmosphere has been developed. This module subdivides OA into several compounds based on their source of origin and volatility, allowing the quantification of POA vs. SOA as well as biogenic vs. anthropogenic contributions to OA concentrations. Such fundamental information can shed light on long-term changes in OA abundance, and hence project the effects of OA on future air quality and climate. 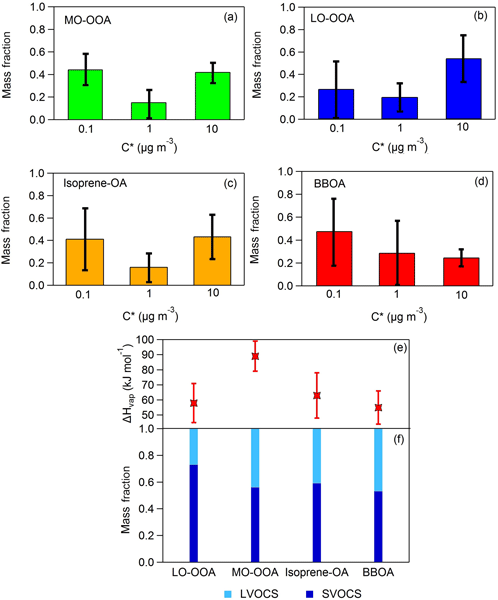 Biogenic volatile organic compound (BVOC) emissions from vegetation are essential inputs for air quality models but their uncertainties are very high. 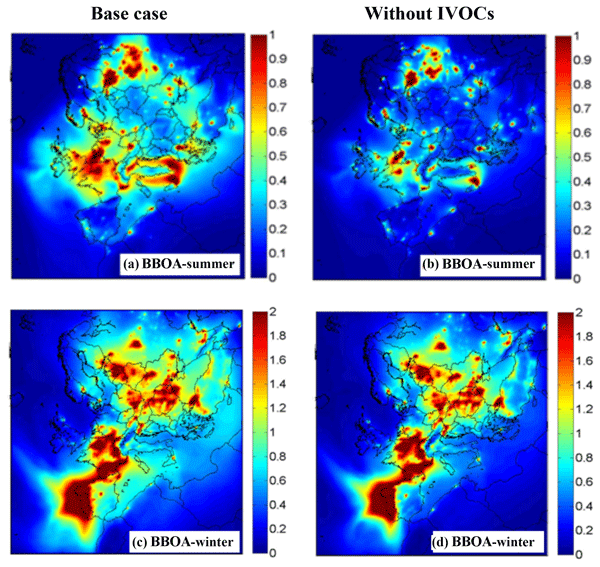 In this study we show the importance of BVOC emissions for modelled ozone and aerosol concentrations in Europe. 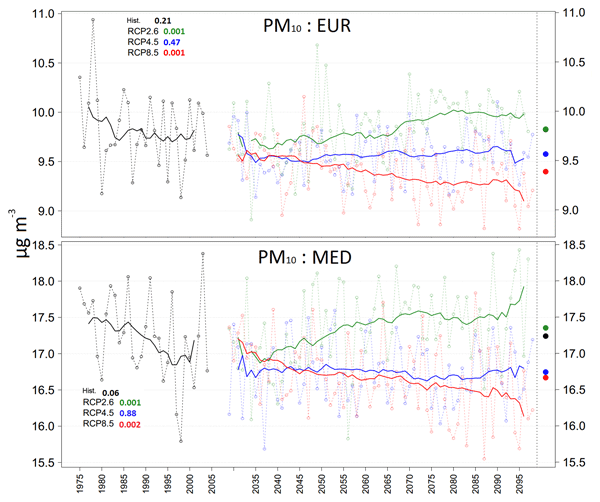 Using different biogenic emissions from MEGAN and PSI models significantly affected organic aerosols (smaller effect on ozone), indicating the importance of harmonising the BVOC emissions in the model inter-comparison studies. The heavy air pollution in the Beijing-Tianjin-Hebei (BTH) region is a global hot topic. We established a unit-based industrial emission inventory for the BTH region. The inventory significantly improved air quality modeling results; this improvement subsequently contributes to an accurate source apportionment of haze pollution and more precisely targeted decision making. 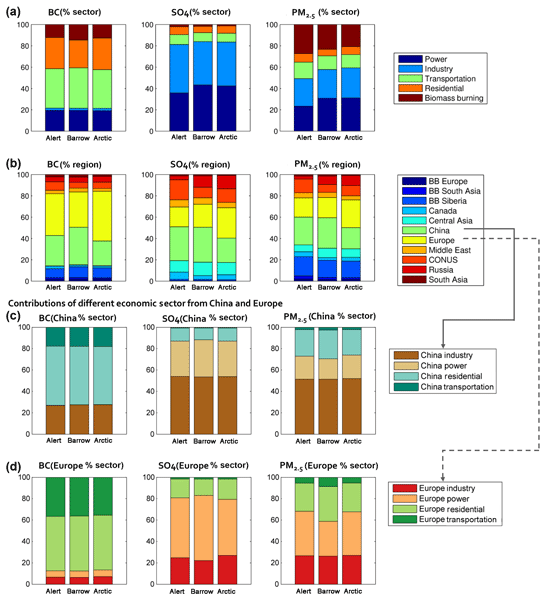 This work captured the changes in black carbon (BC) emissions from tightened pollution controls in a city cluster in eastern China through a top-down approach that incorporated available ground observations, a chemistry transport model, and a multiple regression model. The uncertainty from the a priori emission input and wet deposition was evaluated to be moderate. 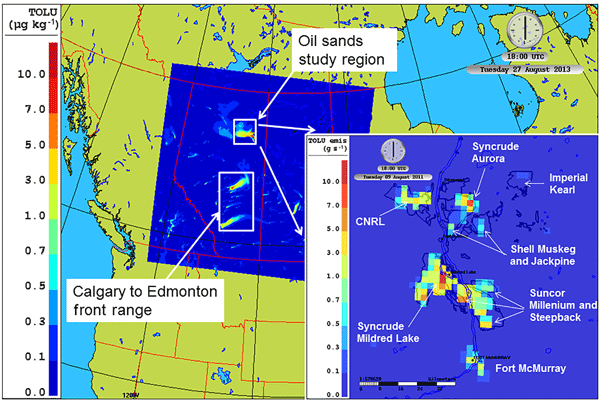 More ground measurements with better spatiotemporal coverage were recommended for constraining BC emissions effectively. 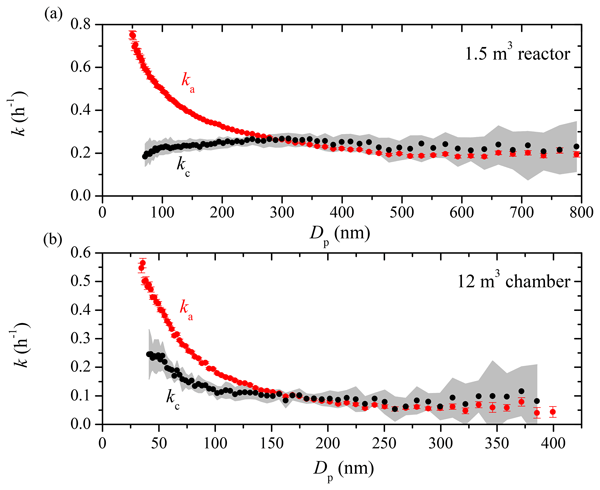 We used ab initio calculations to explore a new path for ion-induced SO2 oxidation by ozone in the gas phase. We find that, initiated by the superoxide ion, SO2 can readily oxidize to SO−3. The reaction is facilitated by the presence of water, being ~ 4 orders of magnitude faster than the reaction in the absence of water. Depending on the altitude and temperature, it is estimated that this reaction may contribute to 0.1–2.0 % of the total atmospheric sulfate. 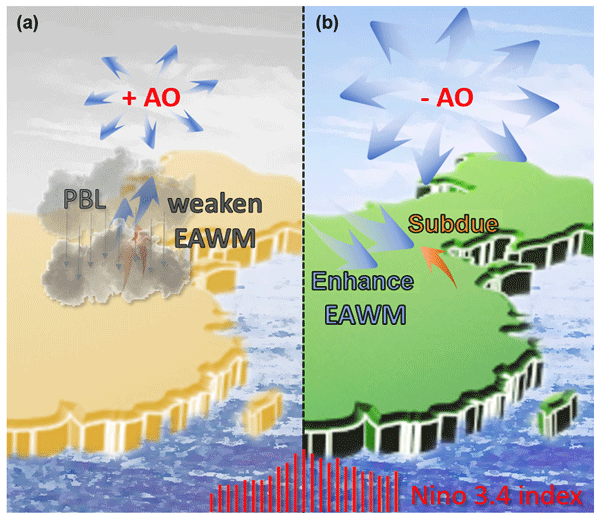 Based on observed data, this study reveals a distinct seesaw feature of abnormally high and low PM2.5 concentrations in December 2015 and January 2016 over North China. The mechanism of the seesaw pattern was found to be linked to a super El Niño and the Arctic Oscillation (AO). During the mature phase of El Niño in December 2015, the weakened East Asian winter monsoon favors strong haze formation; however, the circulation pattern was reversed in the next month due to the phase change of the AO. 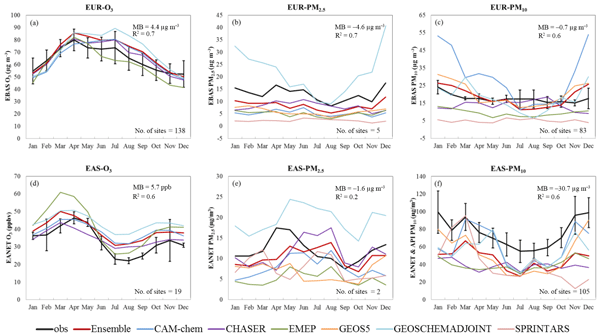 A source-oriented version of the CMAQ model was used to quantify contributions from nine regions to PM2.5 and its components in the 18 cities within the Sichuan Basin. Non-local emissions contribute to 39~66 % and 25~52 % to the citywide average PM2.5 concentrations of 45~126 and 14~31 μg m−3 in the winter and summer, respectively. This study demonstrates the importance of joint emission control efforts among cities within the SCB and neighbor regions to the east. There are increasing health concerns about the smallest airborne particles found in polluted urban atmospheres. These particles are composed of a mixture of oil-derived substances, but the exact composition is not known and is likely to be very complicated. We provide a way to compute how these particles change as their chemical make-up changes. We also outline the range of particle compositions that reproduce the behaviour of the smallest particles seen in field measurements. The navigability of the Arctic Ocean is increasing with the warming in recent years. 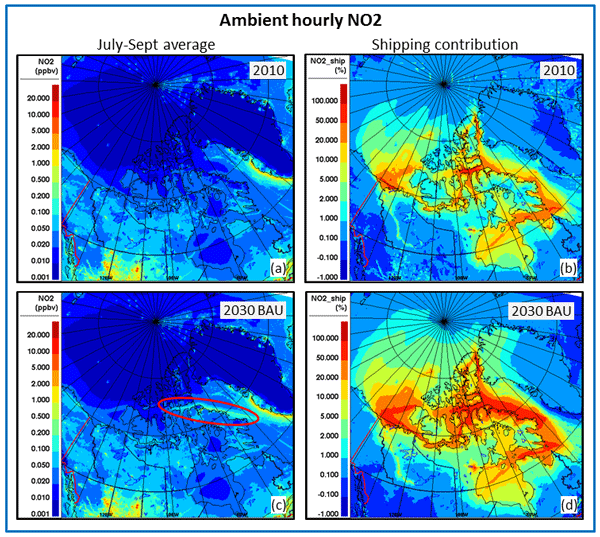 Using model simulations at a much finer resolution than previous pan-Arctic studies, the impact of marine shipping emissions on air pollution in the Canadian Arctic is assessed for present (2010) and projected levels in 2030. 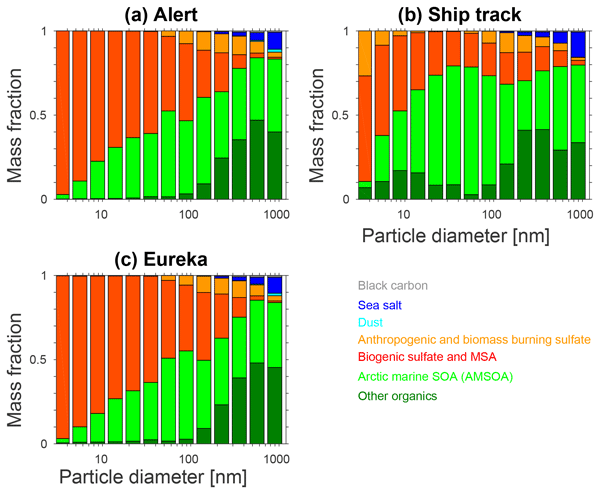 The study found that shipping emissions have a local-to-regional impact in the Arctic at the current level; the impact will increase significantly in a projected business-as-usual scenario. The contribution of blowing snow and frost flower as sources of sea salt aerosols (SSA) over polar regions remains uncertain, despite its potentially important role in polar climate and chemistry. 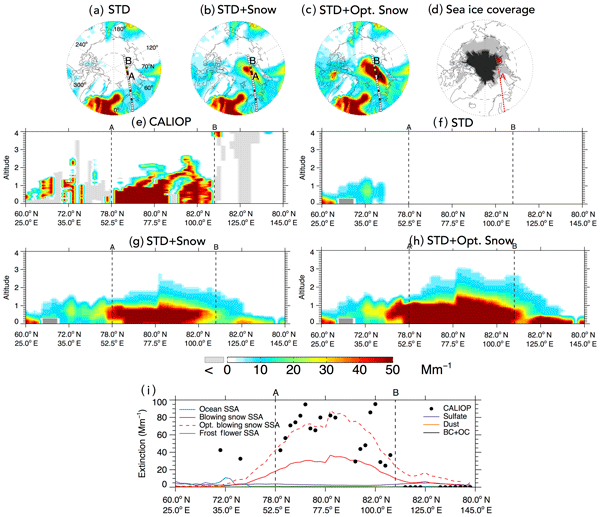 Using chemical transport models and satellite observations, we find that blowing snow emissions are the dominant source of SSA over sea ice during the cold season. We infer a monthly snow salinity on first-year sea ice that decreases from fall–spring, minimizing the model discrepancy to within 10 %. The evaluation of air pollution impacts, including on human health, vegetation, climate, and ecosystem health, is an essential component in the design of policies that affect air quality directly or indirectly. 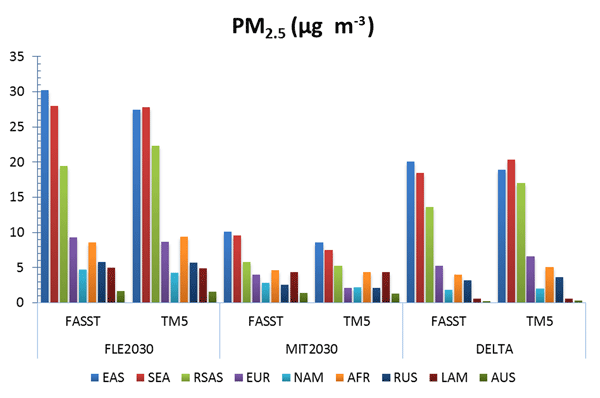 We have developed a tool that allows for a fast screening of relevant air pollution impacts from given emission scenarios at the regional to global scale, bypassing expensive numerical modelling of complex atmospheric processes. This paper provides a full documentation of the methodology. 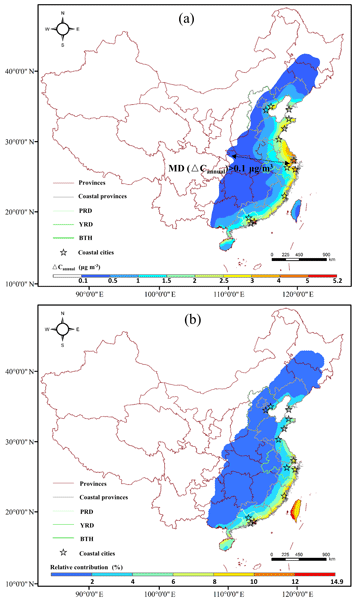 Simulations of secondary organic aerosol (SOA) concentrations in China with SOA aqueous-phase formation pathway updated and glyoxal simulation improved reveal that dicarbonyl-derived SOA (AORGCJ) can explain a significant fraction of the unaccounted SOA sources, especially in summer. The mean AORGCJ can account for 39.0 % of the total concentration of SOA in summer, while AORGCJ in winter contributes, on average, 18.5 % to the total SOA concentration. Urban air pollution is affected by both emissions and meteorology. Using the recent 18 yr long measurements of air pollutants in the East Asian megacity of Seoul, we quantitatively investigated effects on short-term and long-term air quality. 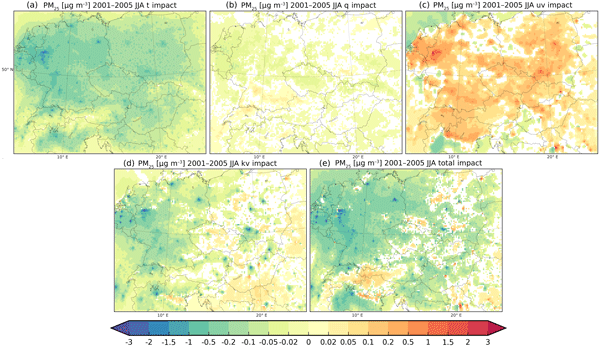 Specific synoptic weather patterns were important for episodic PM10 and O3 events, while the long-term decrease in wind speed and the 2008 economic recession played roles in the recent improvement of PM10 and deterioration of O3 air quality in Seoul. 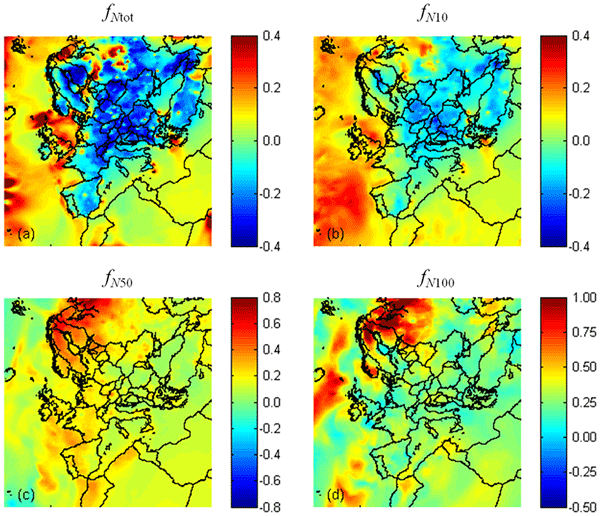 We have applied the HTAP phase II multi-model data to investigate the long-range transport impacts on surface concentration and column density of PM from Europe and Russia, Belarus, and Ukraine to eastern Asia, with a special focus on the long-range transport contribution during haze episodes in China. We found that long-range transport plays a more important role in elevating the background concentration of surface PM during the haze days. A total of 1.04 million premature mortalities and up to 2 years of life lost (YLL) per person were estimated in India in 2015 due to PM2.5. Premature mortality due to cerebrovascular disease (CEVD) was the highest (0.44 million), followed by ischaemic heart disease (IHD, 0.40 million). The residential sector was the largest contributor, followed by industry, agriculture and energy. 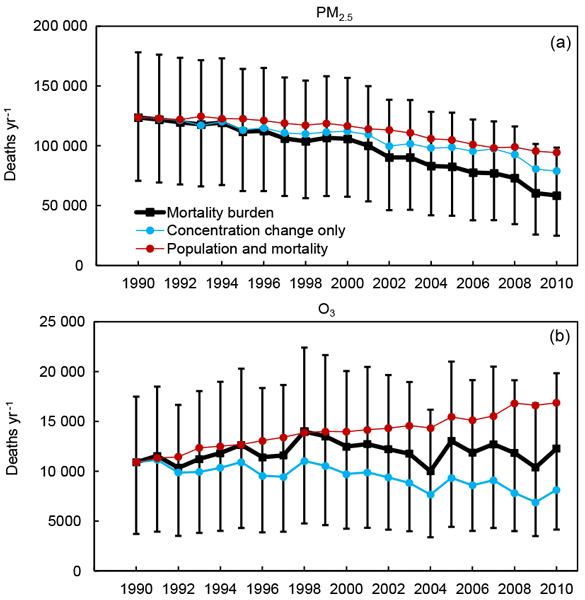 Reducing PM2.5 concentrations would lead to a significant reduction in premature mortality and YLL. Large quantities of mineral dust particles are ejected into the ambient atmosphere during wind storms. These authentic dust particles can transport to polluted regions, such as industrial areas in cities, and undergo atmospheric chemical and physical processes. 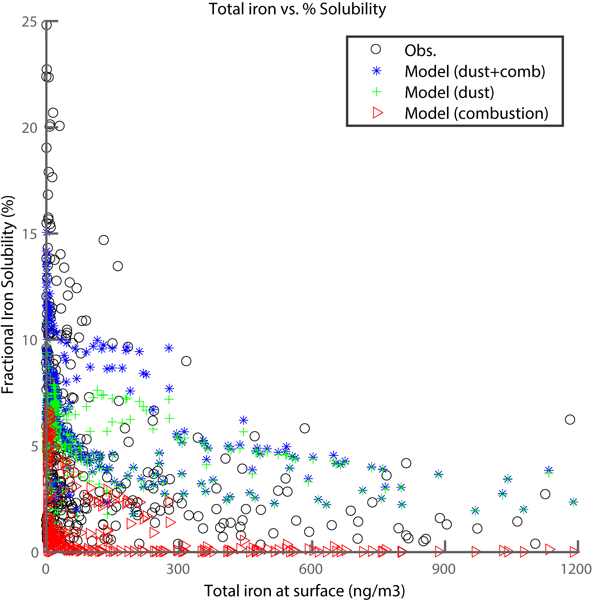 The Atmospheric Mineral Aerosol Reaction model developed through this work can help explain the impact of authentic mineral dust particles on local and regional air qualities. 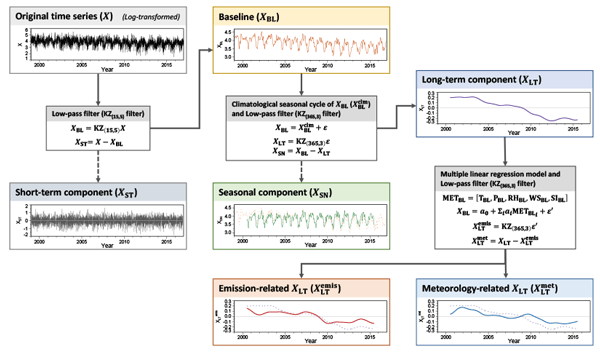 The impact of meteorological changes introduced by urbanization on aerosol concentration using a regional climate model and a chemistry transport model over central Europe is investigated. We found a strong increase of temperature and turbulence and a decrease of humidity and wind speed due to urban surfaces. This resulted in a clear decrease of aerosol concentrations near the surface: PM2.5 concentrations were reduced by 3 μg/m3. The dominating effect is the increased turbulent transport. As oxidation flow reactors (OFRs) are increasingly used to study aerosol formation and evolution in laboratory and field environments, there is a need to develop models that can be used to interpret OFR data. 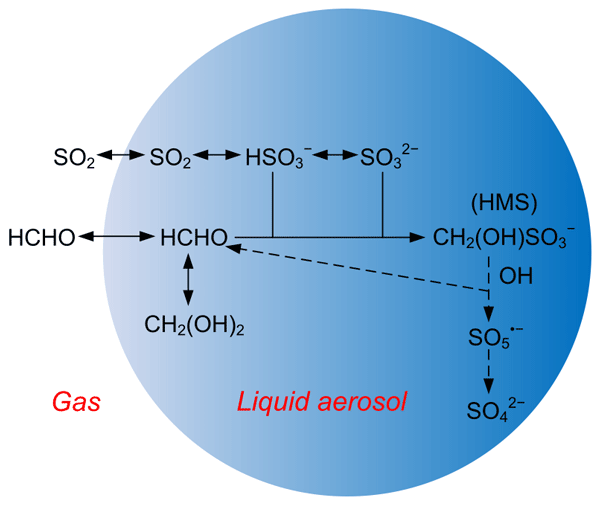 In this work, we evaluate two coupled chemistry and thermodynamic models to simulate secondary organic aerosol formation (SOA) from diluted diesel exhaust and explore the sources, pathways, and processes important to SOA formation. 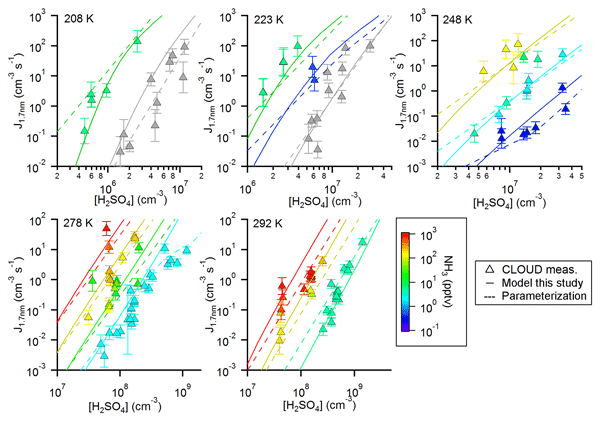 Uncertainty in the natural tropospheric sulfur cycle represents the largest source of uncertainty in radiative forcing estimates of sulfate aerosol. This study investigates the natural sulfur cycle in the marine troposphere using the GEOS-Chem model. 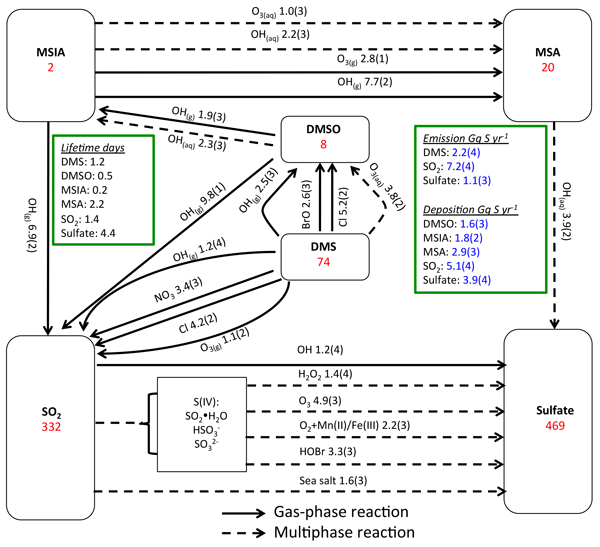 We found that BrO is important for DMS oxidation and multiphase chemistry is important for MSA production and loss, which have implications for the yield of SO2 and MSA from DMS oxidation and the radiative effect of DMS-derived sulfate aerosol. A global chemical transportation model (MOZART-4) was used to analyze the BC transport from the source regions and a radiative transfer model (SNICAR) was used to study the effect of BC on snow albedo on the northern Tibetan Plateau. The result provides useful information to study the effect of the upward BC emissions on environmental and climate issues. 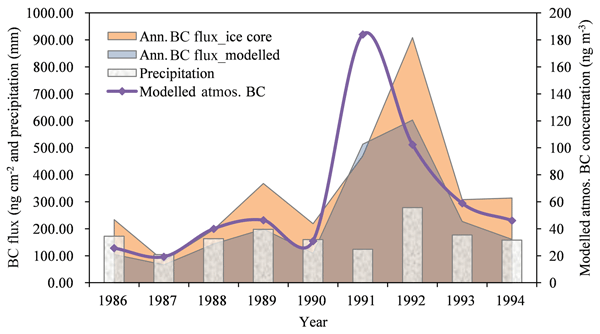 The radiative effect of BC deposition on the snow melting provides important information regarding the water resources in the region. 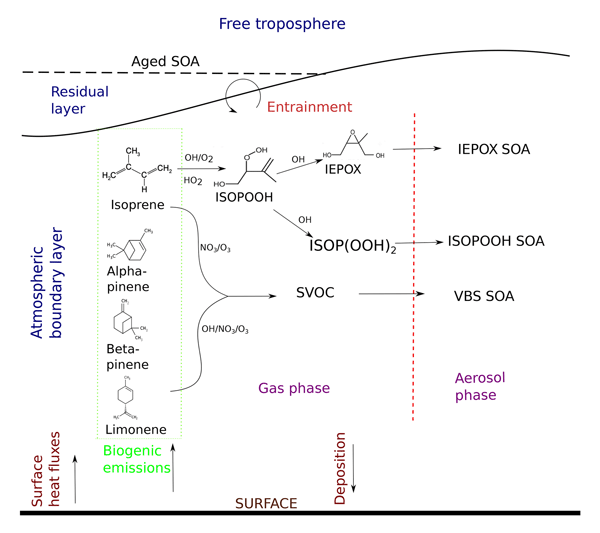 Large uncertainties remain in understanding the influence of atmospheric environmental conditions on secondary organic aerosol (SOA) formation, evolution and properties. 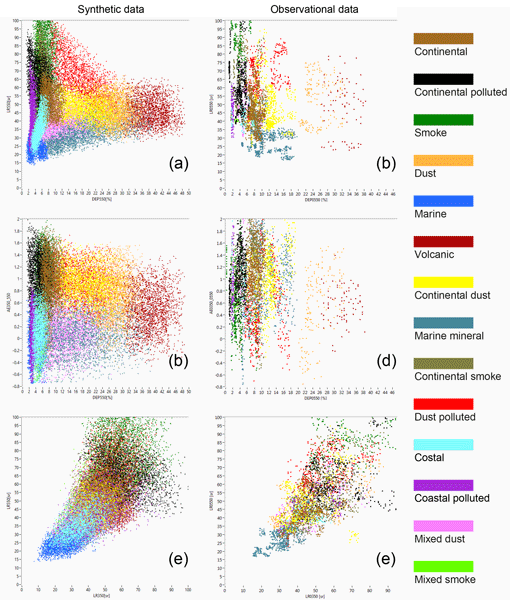 In this article, the GECKO-A modelling tool has been used in a box model under various environmental conditions to (i) explore the sensitivity of SOA formation and properties to changes on physical and chemical conditions and (ii) develop a volatility-basis-set-type parameterization for air quality models. 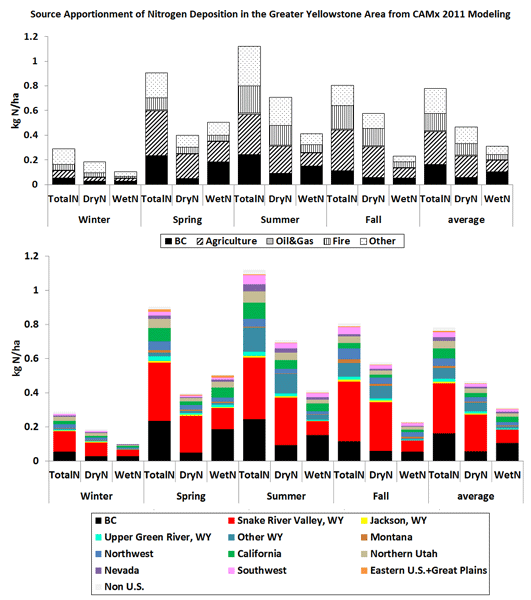 Excess reactive nitrogen deposition in the Greater Yellowstone Area is adversely affecting sensitive ecosystems. Source apportionment (SA) to quantify the contributions from important emission sectors/regions was conducted using CAMx–PSAT. Our results highlighted the importance of controlling reduced nitrogen, especially from agricultural activities in the Snake River valley. Uncertainties from NH3 simulation, boundary conditions, and precipitation estimates in SA results were also discussed.